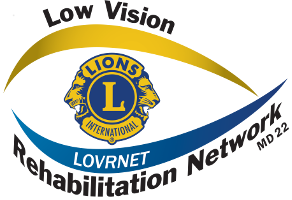 The Lions Low Vision Rehabilitation Network (Lions LOVRNET) is a model for a new community-based healthcare program that will address the current shortage and distribution of low vision rehabilitation services and can expand to keep pace with the growth in demand as our population ages. The Lions of Multiple District 22, in partnership with low vision rehabilitation experts at the Lions Vision Research and Rehabilitation Center of the Johns Hopkins Wilmer Eye Institute (Lions Vision Center), is developing and implementing the Lions LOVRNET as a demonstration project in Maryland, Delaware, and the District of Columbia (Multiple District 22). The aims of the Lions LOVRNET are to: 1) train and provide professional consultative support to local optometrists, ophthalmologists, ophthalmic and optometric technicians, occupational therapists, rehabilitation therapists working in the blindness field, and social workers so they can offer low vision rehabilitation services as part of their practices, 2) create a single portal for the low vision rehabilitation system within Multiple District 22 to which ophthalmologists can refer patients or patients can refer themselves, 3) coordinate care by matching patients to appropriate trained service providers in their area, and 4) constantly improve the quality and effectiveness of services by obtaining patient reported outcome measures and using them to provide continuous professional education to the service providers. Local Lions are a vital part of the Lions LOVRNET. Not only do Lions serve as the primary resource for their blind and visually impaired neighbors who need to be directed to the Lions LOVRNET, but they also are advocates for the Lions LOVRNET with local ophthalmologists and provide ophthalmologists with patient education materials. Lions also are trained to assist blind and visually impaired people in a discrete and safe manner, initiate and facilitate peer support groups, and educate the public in order to combat stereotypes and social stigmas associated with blindness and visual impairments. 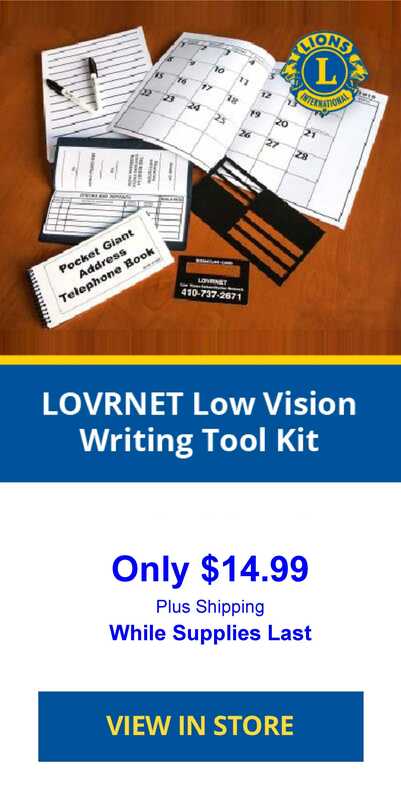 The goal of the proposed project is to demonstrate how the growing demand for low vision rehabilitation services in the U.S. can be met by the Lions LOVRNET model and disseminate the developed educational resources and programs so that the Lions LOVRNET can be expanded nationwide. The core Lions LOVRNET project has recently received funding from the Lions Clubs International Foundation SightFirst program and from the Reader’s Digest Partners for Sight Foundation. This funding is being used to develop the computer information systems required to operate the network and to measure patient outcomes; to develop and offer online education programs for optometrists, ophthalmologists, occupational therapists, rehabilitation therapists working in the blindness field, social workers and Lions volunteers; to recruit and train low vision rehabilitation service providers (optometrists, ophthalmologists, occupational therapists, rehabilitation therapists,and social workers) to participate in the Lions LOVRNET; and to provide a pathway for patients to acquire affordable low vision care and devices within their home community.